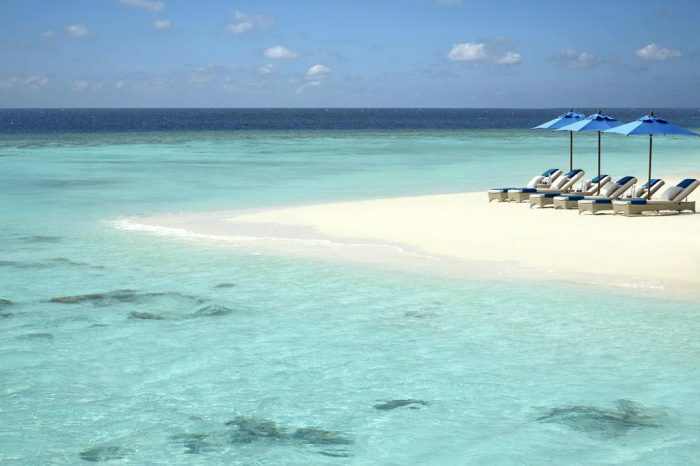 Ride 15-20 minutes speedboat and come to the most beautiful private property you have witnessed so far. 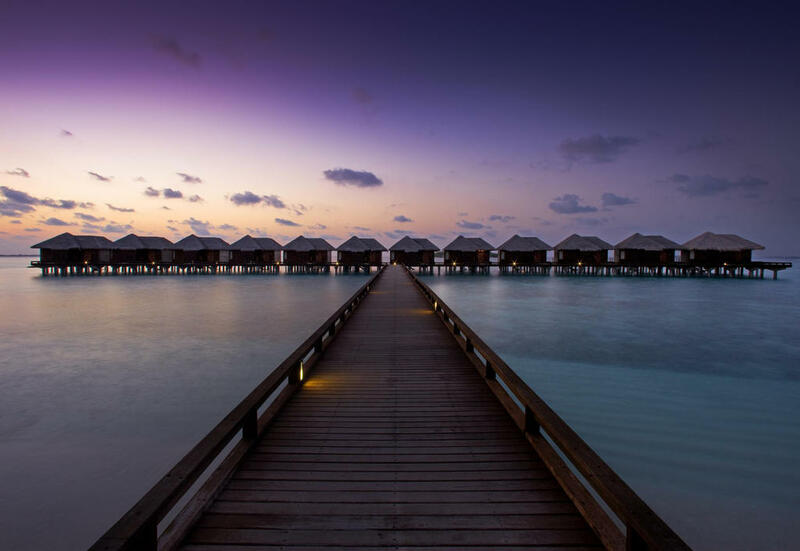 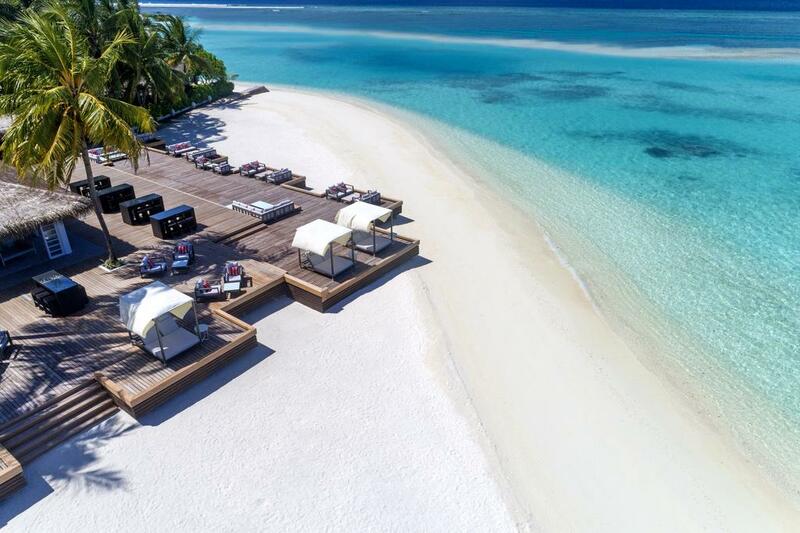 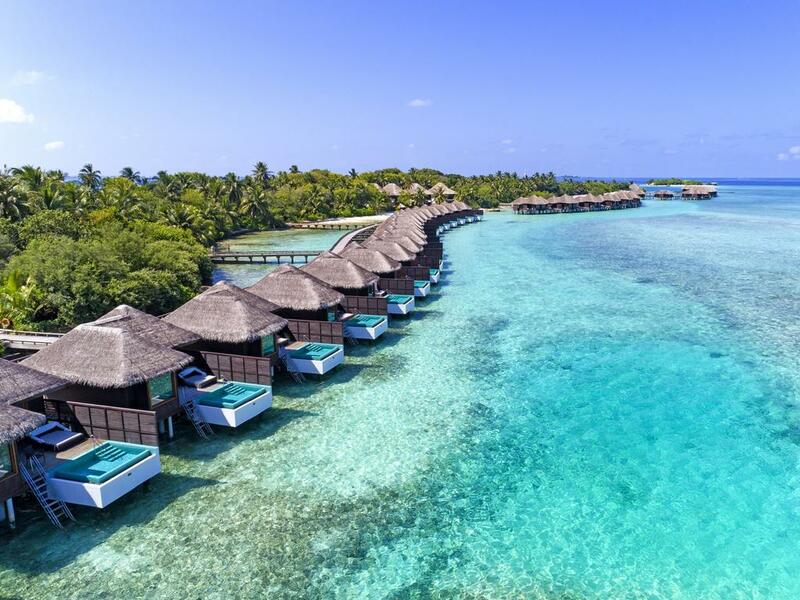 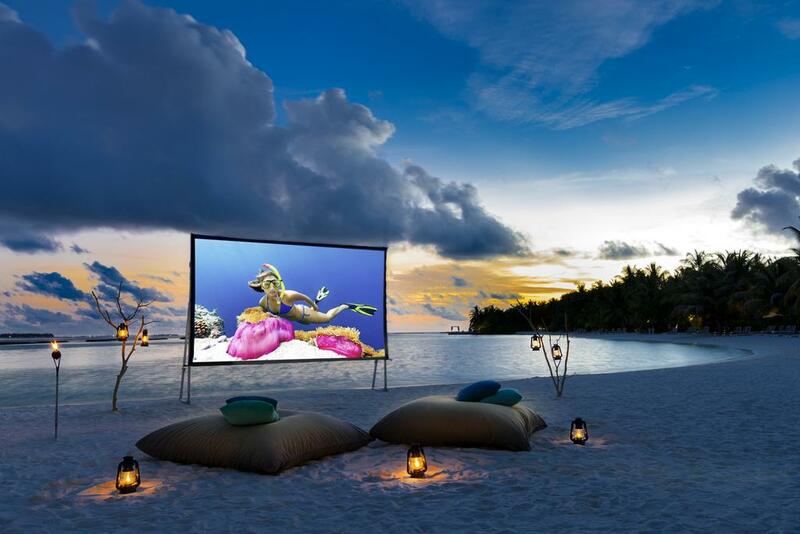 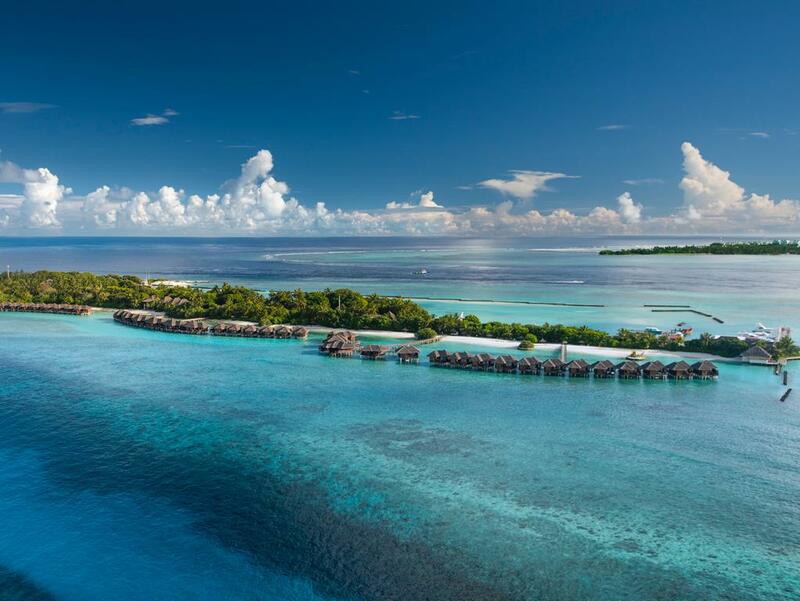 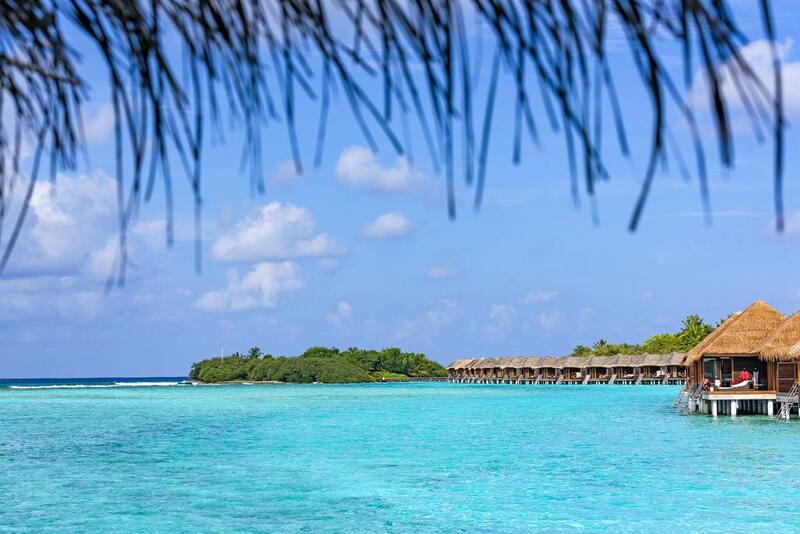 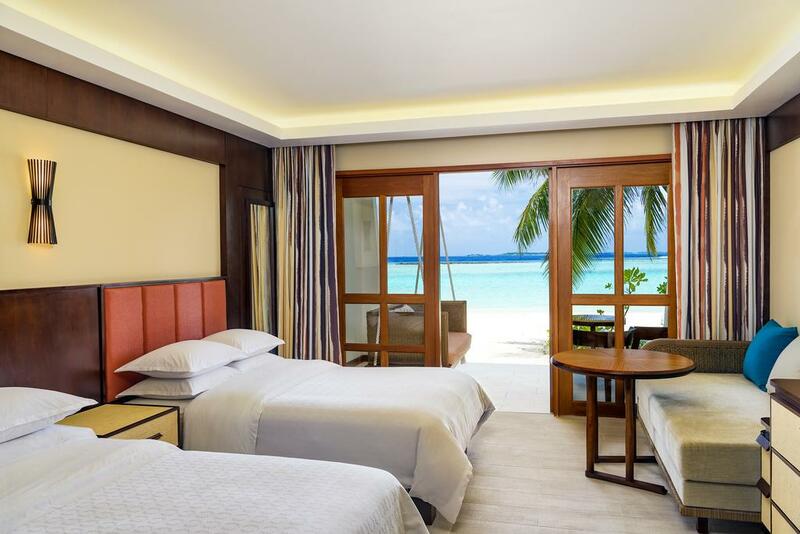 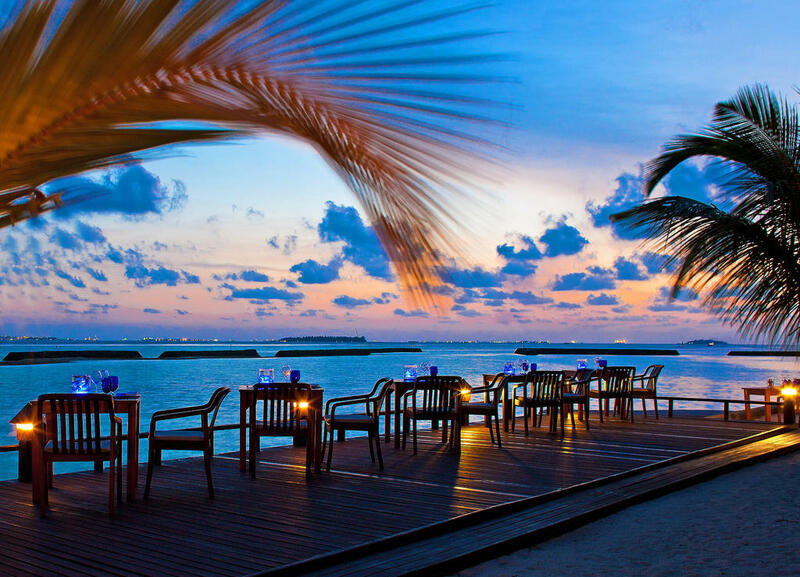 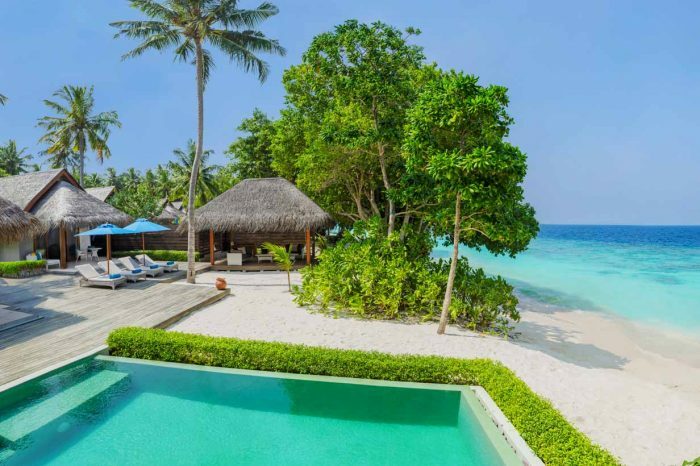 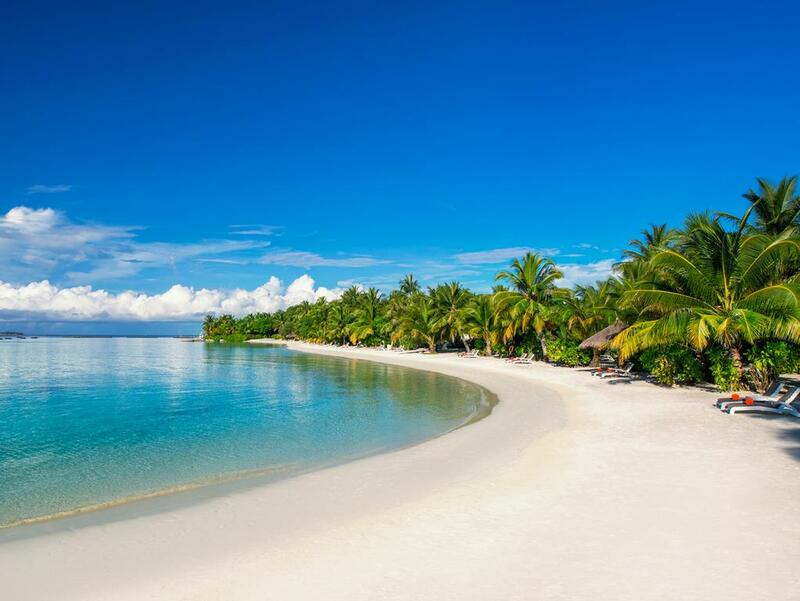 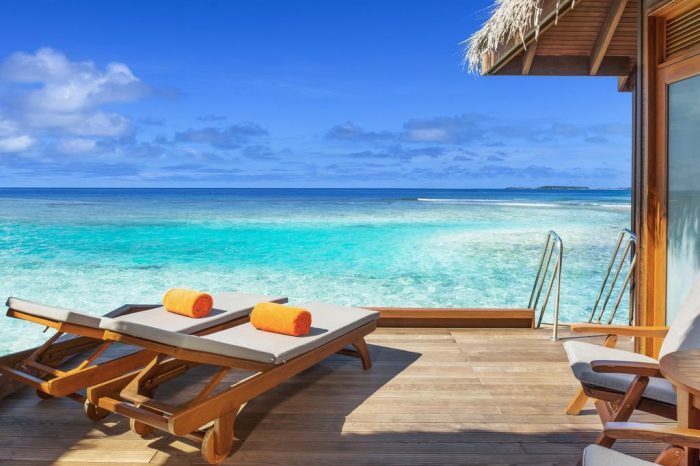 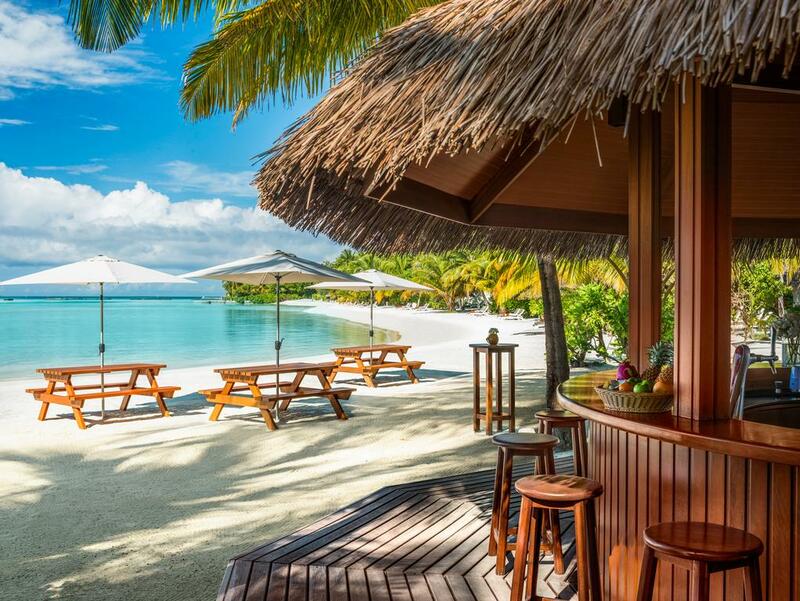 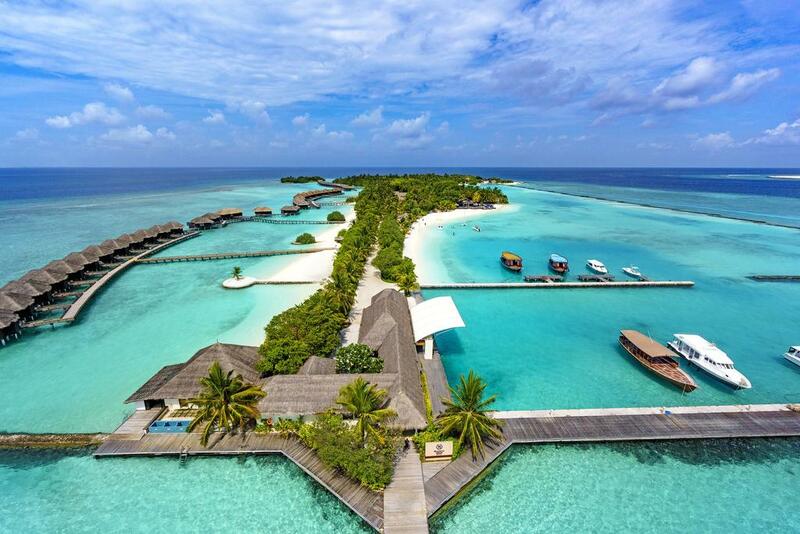 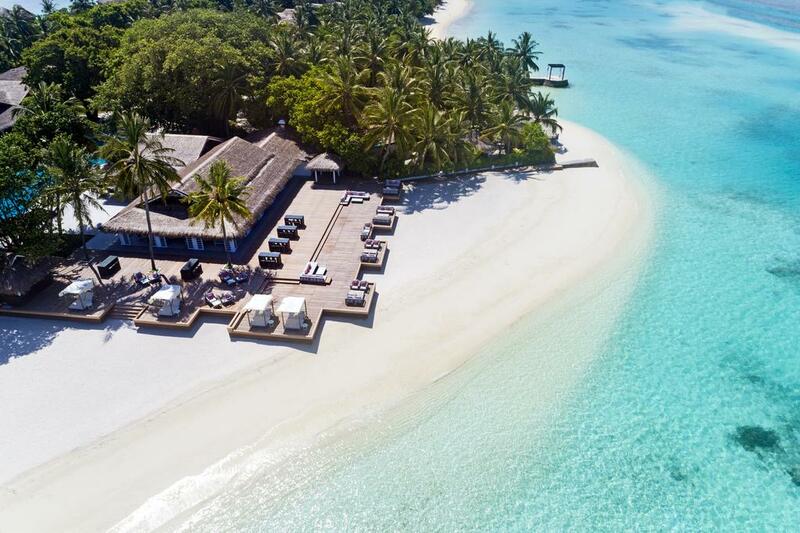 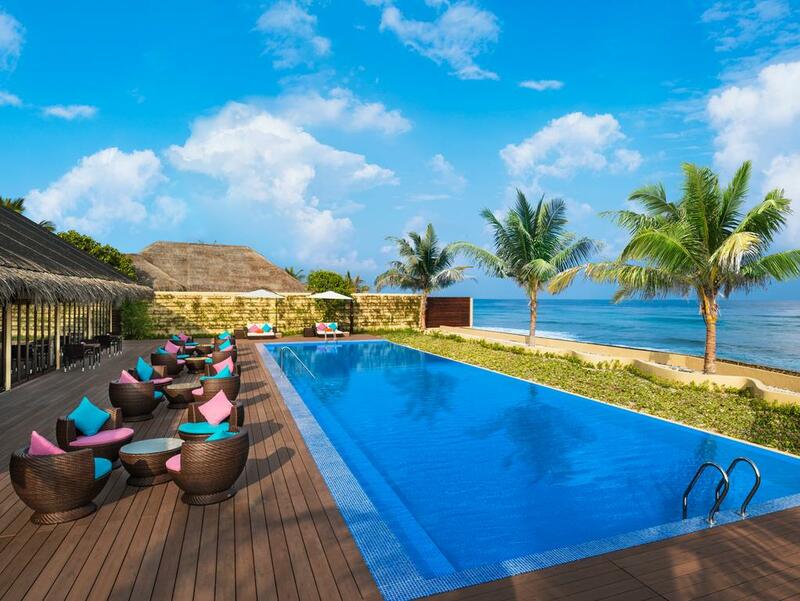 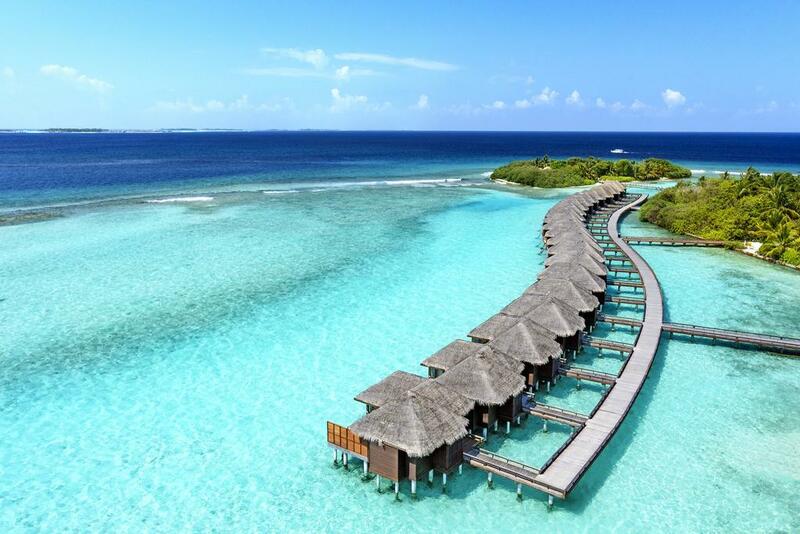 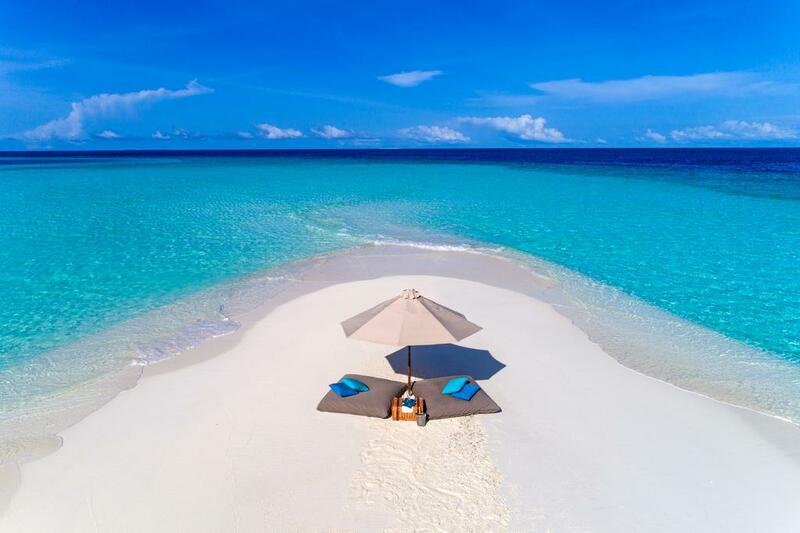 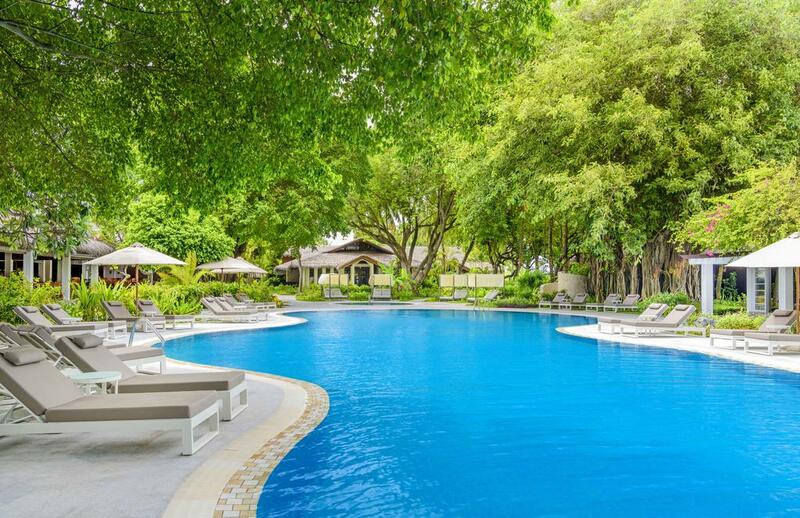 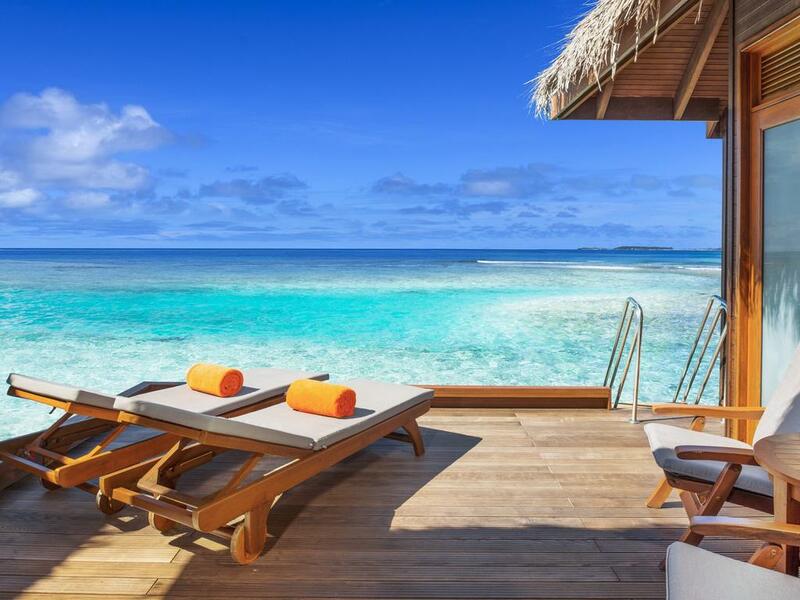 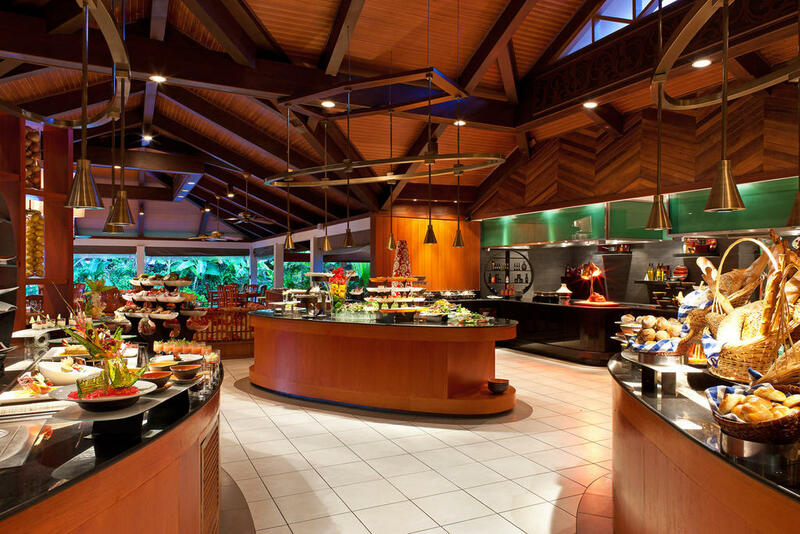 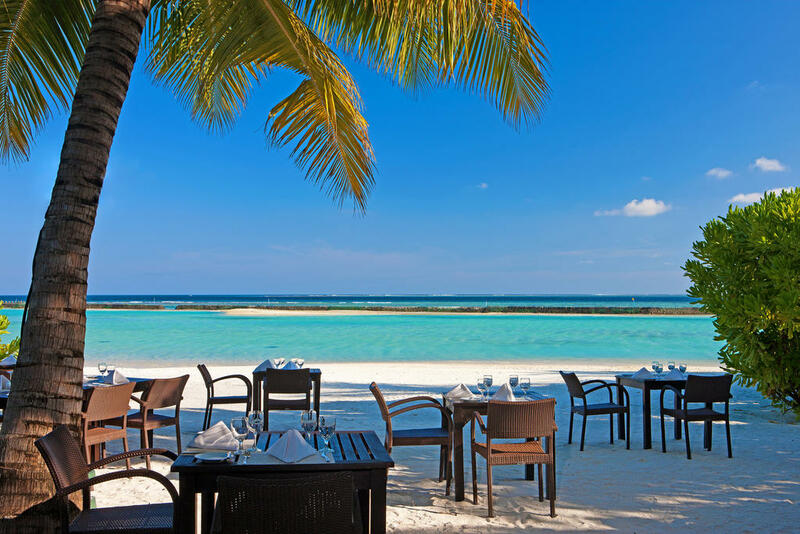 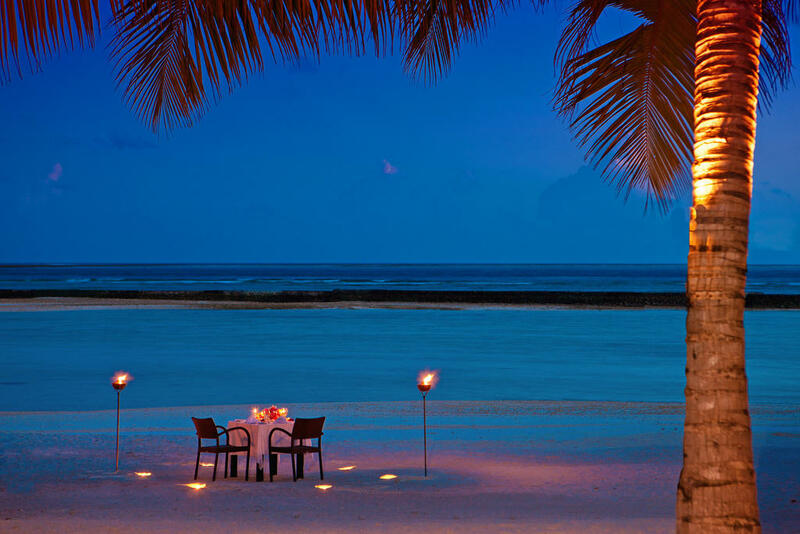 Sheraton Maldives Full Moon Resort and Spa, decorated with Traditional Maldivian Style is an island with amazing sea view and white sandy beaches. 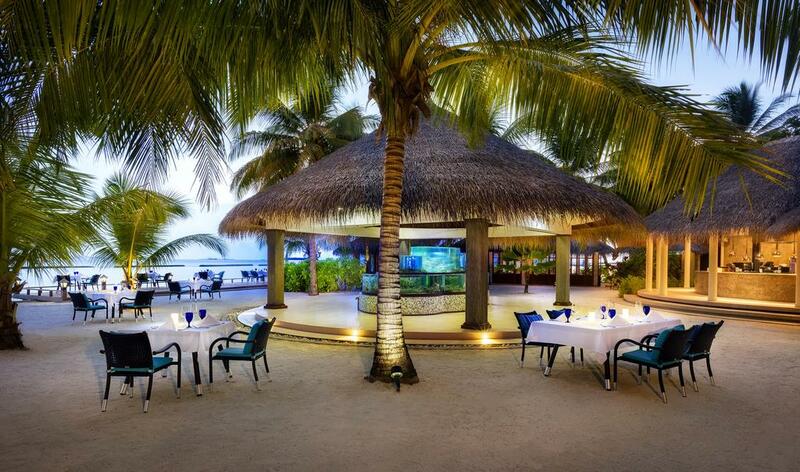 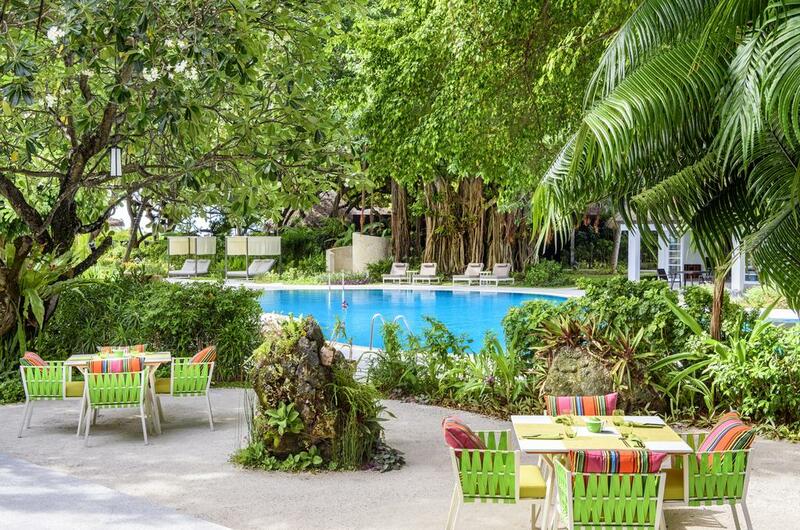 With friendly staffs you can expect excellent service and 24 hours of room services. 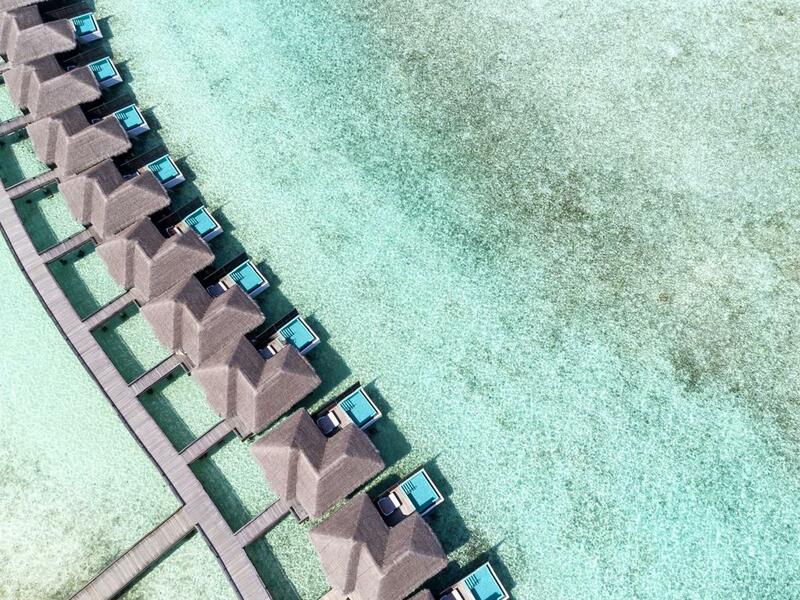 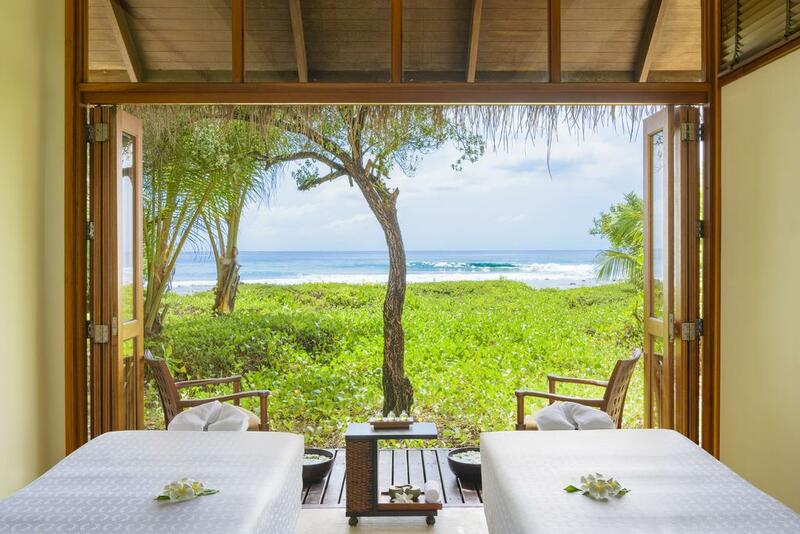 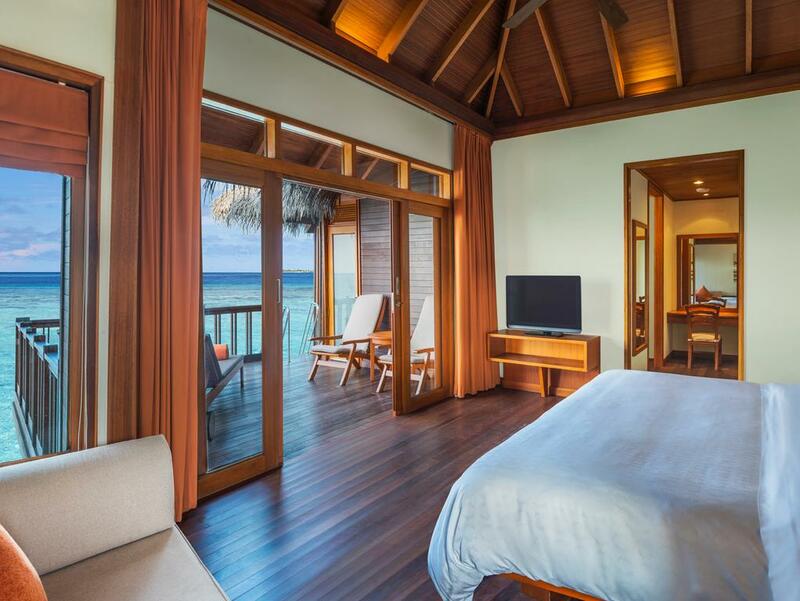 With the Traditional Maldivian Style, these rooms are designed by local craftsmen. 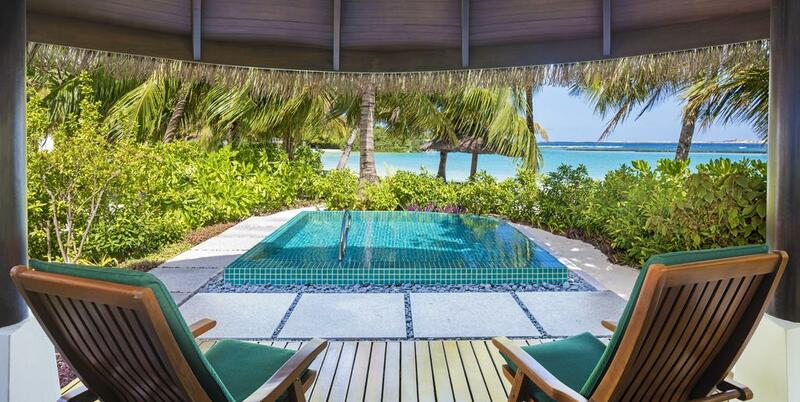 With shower outside you can enjoy sunshine in private. 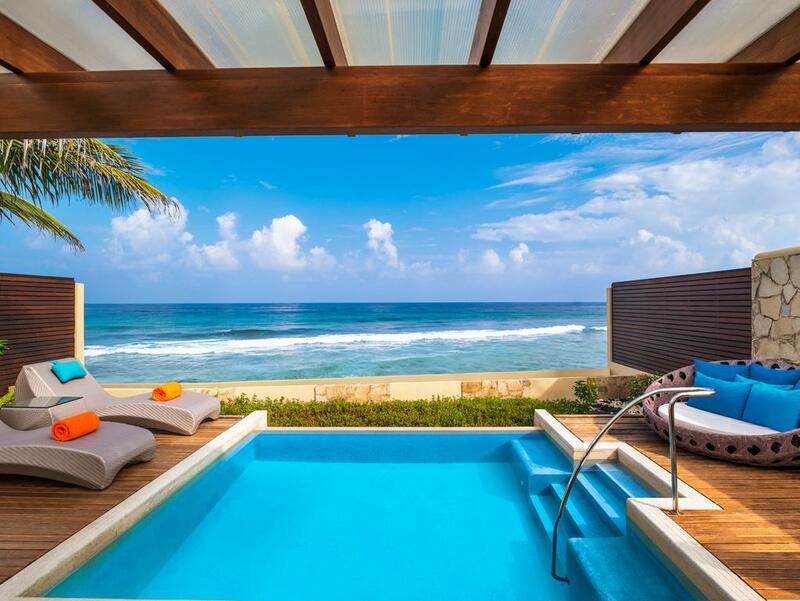 Bath located inside gives you all the freedom of relaxation. 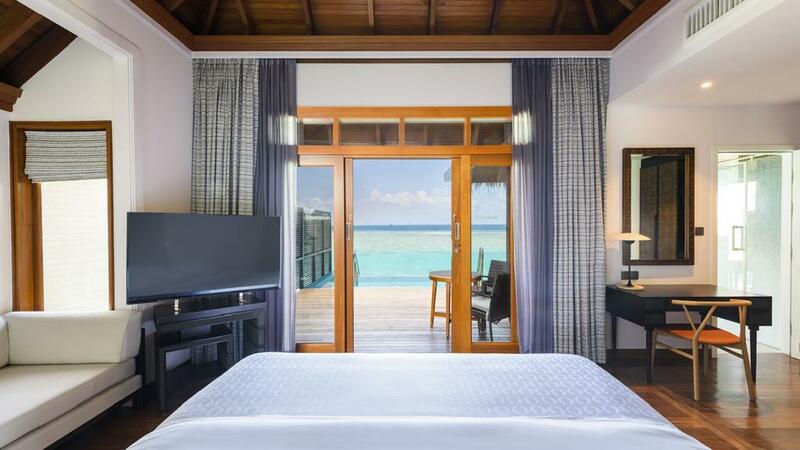 Also, a bed in located in the private balcony where you can enjoy and relax never missing any moment.